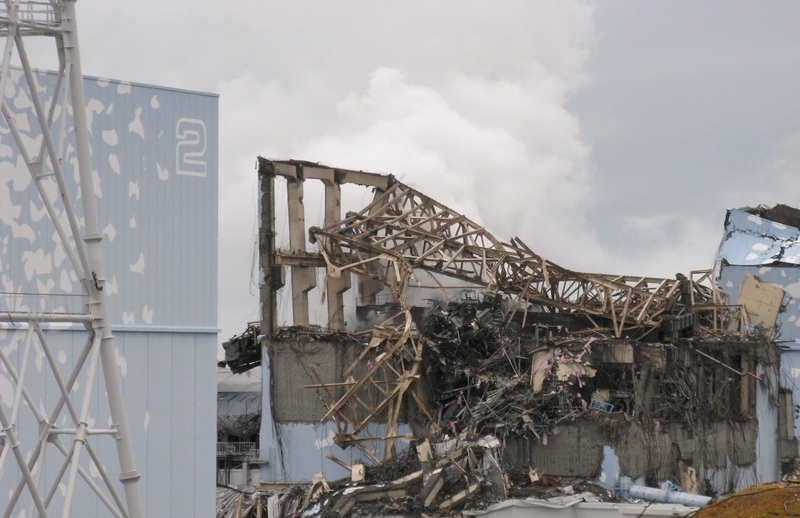 The thing is, the top floors from above the fourth story, were blown-out and removed, by Tepco, after this explosion, yet before the sham began; ” the offload of spent-fuel rods”. Because floors 5 through ten were removed; and Tepco did post video of this, too, there could no longer be a spent-fuel pool in unit four and has not been a pool in unit-four for at least four years. I am not sure how many times or in how many ways I’d have to say this to be understood. The entire story regarding removal of fuel-rods is a load of hooey. There just can be NO pool there. Post explosion, there are/were no floors in that building. When the, “reporters”, went into (ahem) Daiichi unit-four, they were BLINDFOLDED. Why would they be blindfolded before they arrived at Fukushima Daiichi? I’d say this is because they did not go there. 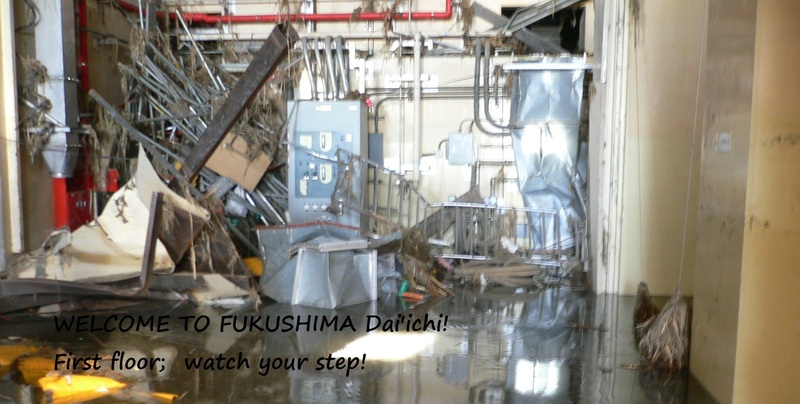 I don’t believe anyone could survive being inside of Fukushima Dai’ichi unit-4, or 3, 2, 1, and probably units 5 & 6, either. The air is full of deadly isotopes, This would mean the game played with or on these, “reporters”, is obvious. 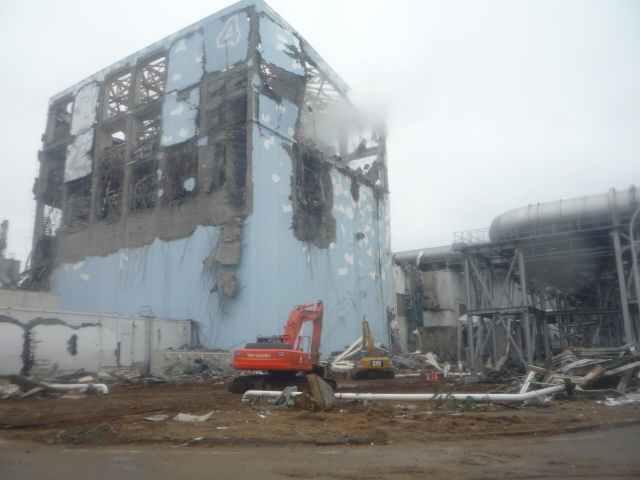 The building they did go into had nothing to do with Fukushima Daiichi unit-four. It may not have been anywhere near the site and my best guess as to what they went into is? I’d think it was Fukushima Daini. But, it could have been any nuclear reactor building, as all of Japan’s sites are in cold shut-down, save Fukushima, which was put to bed HOT. Why make up such stories about this horrific event? The sham of the Unit-4 spent-fuel offload was devised to distract the public from the truth of 3 full-core meltdowns (and given the temperatures reported from within reactors 5 & 6. there might have been five meltdowns) and to prevent the world from thinking about the HUGE explosion of mixed-oxide radioactive fuel from unit-four. And it gave the, “news media”, something (pffftt) positive to talk about and look forward to,. Based, solely on this (FOIA) release, I don’t see how anyone ever believed the SFP-4 hoax. As for the general public, they simply want to see what they want to see, and this does not mean that what theyre seeing is true or factual, And the newzzzz-folk go along with it, happy to be the repeaters of the big LIES. 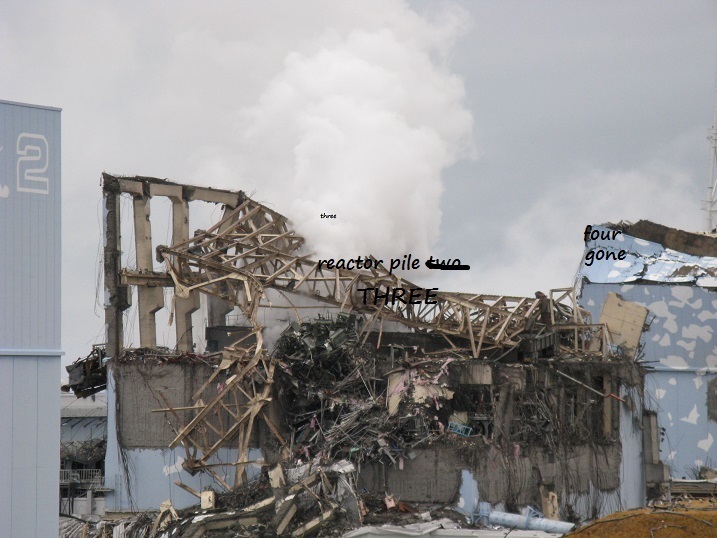 Next, however, the US MSM and the Japanese government are starting the game of, “Spent-Fuel pool rod and debris removal from Fukushima Dai’ichi Unit-three”, and this photo, directly above, is Unit-3. Can anyone point out the spent-fuel pool (or any pool, at all), and convince ME that it has fuel rods IN IT, and that these rods can be removed? Honestly; my (financial) offer still stands!